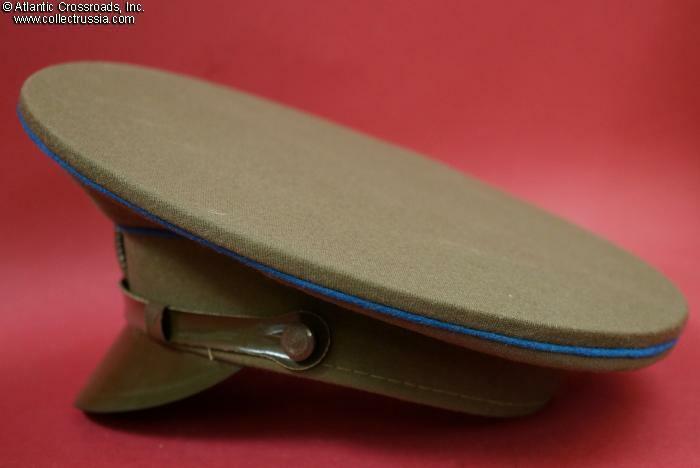 Air Force general field visor hat, dated 1977. 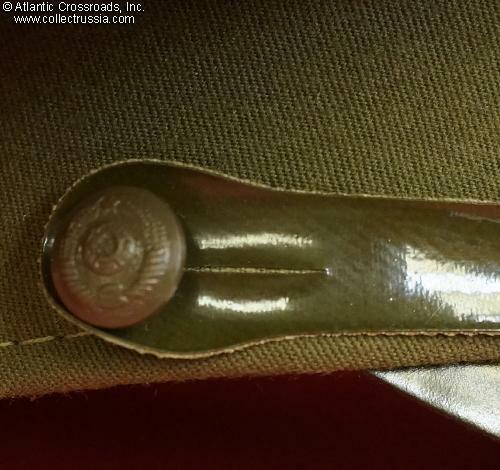 In olive drab gabardine with sky blue piping. 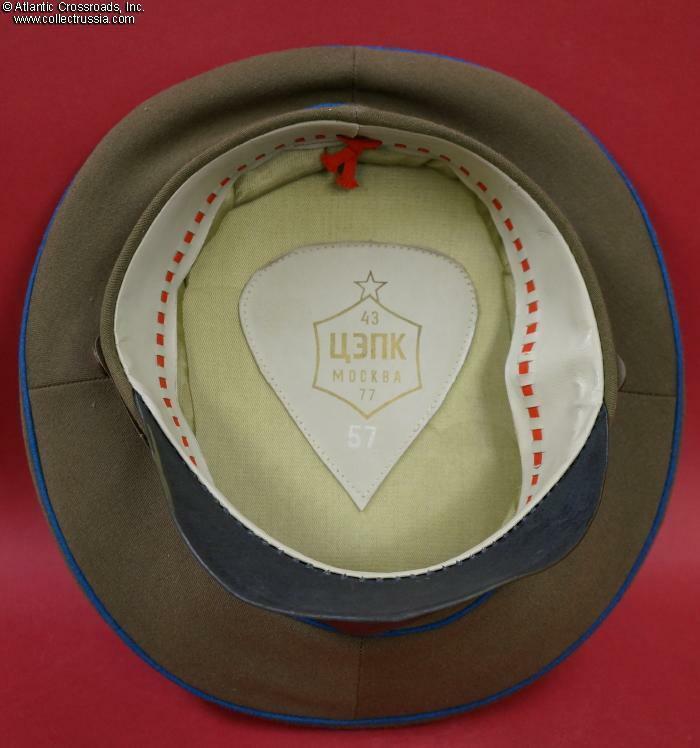 Subdued hat badge and side buttons. 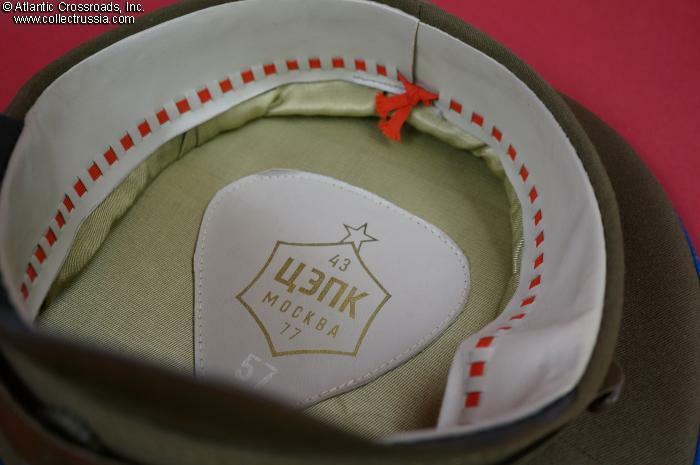 Moscow TEPK factory sweat shield shows a 77 date of manufacture and size: 57 (approx..US size 7 1/8). 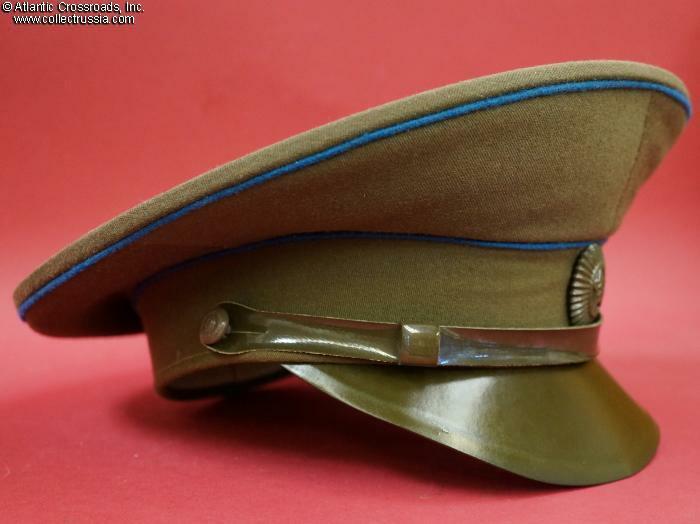 In excellent condition. 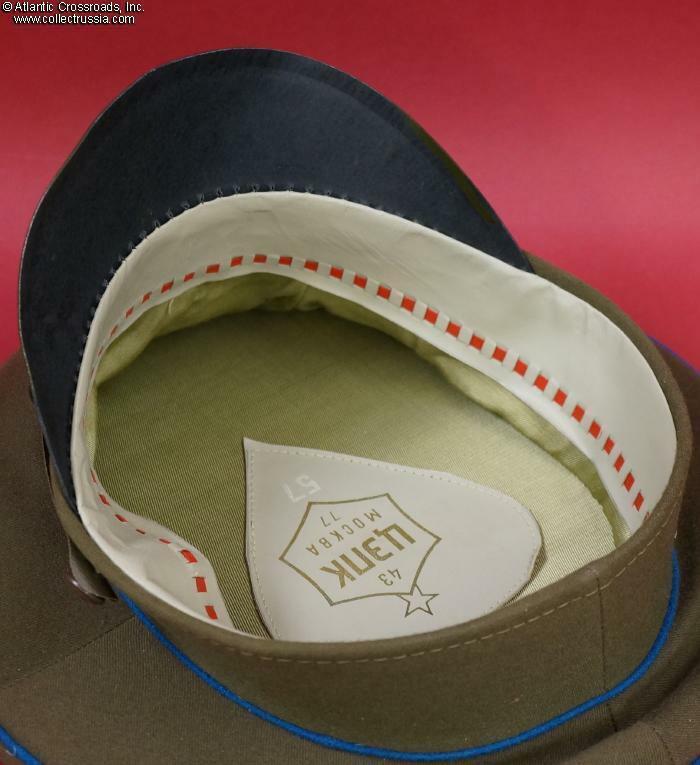 The hat is completely free of moth damage; both the interior and exterior are immaculately clean. 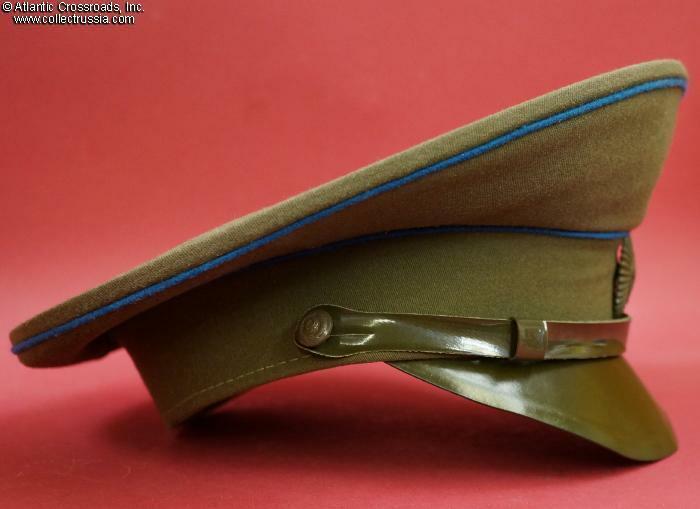 The visor is slightly warped from years in storage - as typical of plastic visors of this type - but this will be hardly noticeable when the hat is displayed, and may be fixed completely with some determined plying. 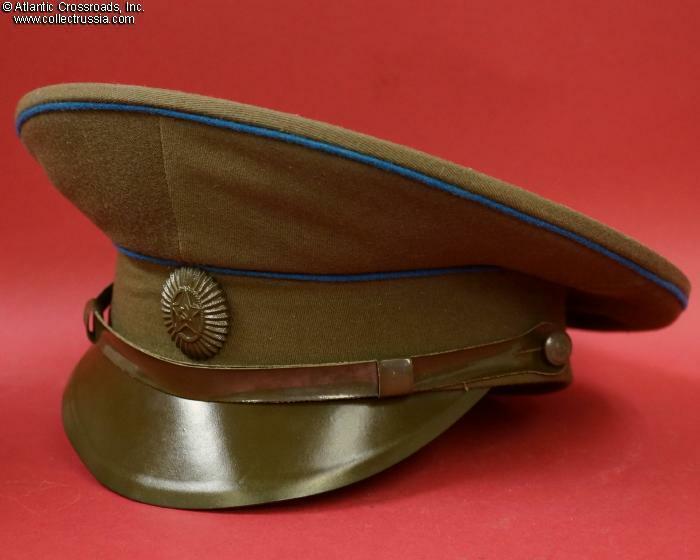 This visor hat was a part of the all-olive drab field uniform of Soviet generals and marshals introduced in 1972. 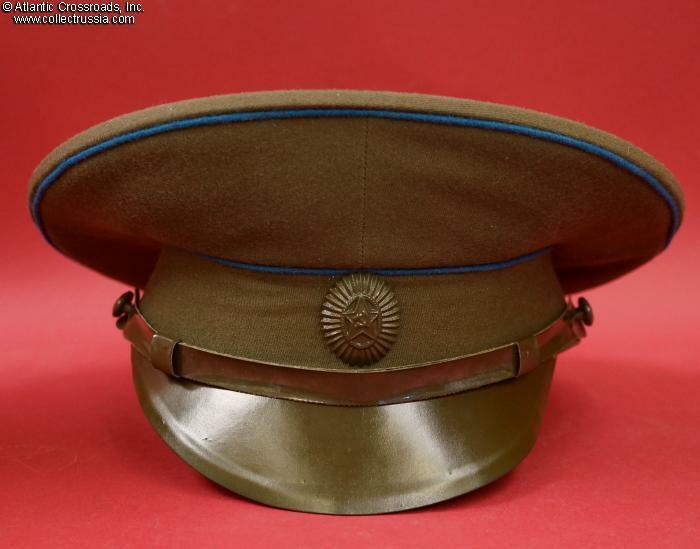 It was largely discontinued in 1980 in favor of regular service uniform, although some limited use was apparently allowed in combat zones (i.e. 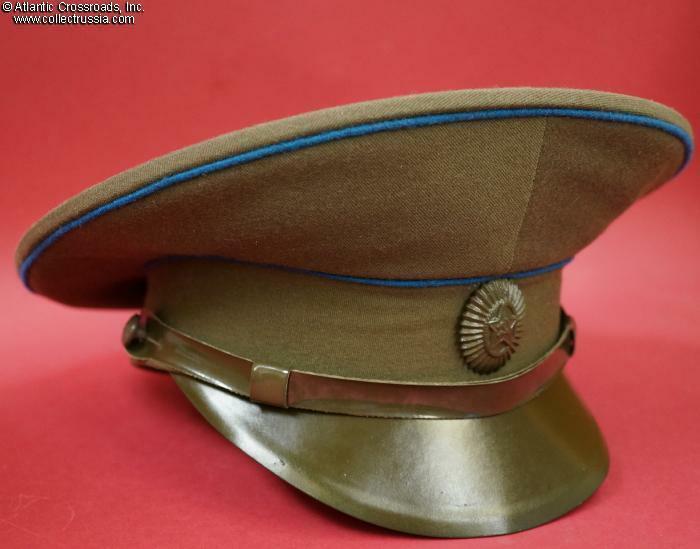 Afghanistan) until new camouflage combat uniforms became available. .